Every January, many of us make their New Year’s resolutions as to what we want to achieve in the next 12 months. Be it personal growth or career, we all want to improve different fields of our lives. As Apptension’s QA team, we’ve decided to start a list of our own. For all QA teams out there – this could be a great exercise for you as well, as it helps you analyze what it is that you need to focus on the most in terms of learning and improvement. For example, exactly one year ago, we didn’t have a lot of experience with testing automation. 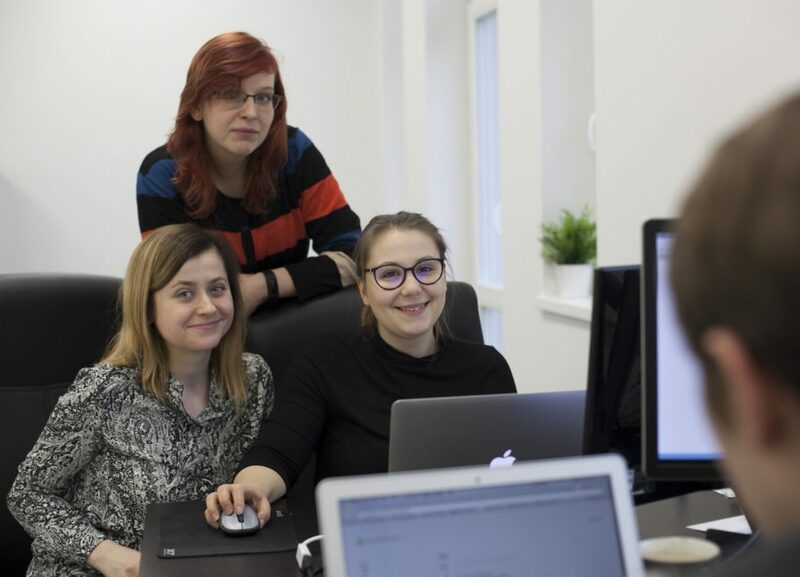 Our CEO, Zbigniew, encouraged us to develop our automation skills and make it the QA team’s 2016 goal. We did focus on that and the effects are clearly visible – our tests are finding the bugs for us, woo hoo! Quite honestly, we can’t imagine our projects without the automation now. For 2017, we’ve put together a slightly longer list. 1. Continue to automate our tests! What do we mean by continuing? The goal is to find time for writing more advanced test cases on the paths where bugs are frequently found – and then – automate those cases. Another thing to do is to handle the User Agent problem in Protractor – it blocks some basic test cases in one of our international projects. We need to find another tool that can help us change the User Agent so that the missing test cases could be automated. Make our own repository and start learning an object-oriented language that is independent from application code. Fewer conflicts, more independence, skills improvement. Of course, we are friends already, but a goal here is to make us all better understand the needs of both sides. How do we plan to do that? For starters, we’re preparing a series of presentations for the devs; we will be sharing them with Apptension’s online community as well. One of them, concerning the question of collaboration between the programmers and the testers will be published on our SlideShare soon. Another slideshow, entitled “Can QA be imperfect” is coming as well. You can also read our article about working with programmers, to get a better understanding of what to avoid. Python for testers – we want to have our own repository and learn an object-oriented programming language (see point 1). Performance testing – we haven’t had a chance to try out Jmeter yet so it will be good to learn how we can use performance tools in our projects. Another thing is making summaries for the reported bugs rates and finding the best way to analyze them. We want to think – what are the most problematic modules in our projects? Can we do something to decrease the bug rates? Once we’re able to effectively analyze the reports, then we can try to optimize our processes. Chances are, you’ve already read about teamdeck. It’s a resource management product that we’ve built here, at Apptension. Don’t hesitate to try it out! It’s a really big achievement for everyone in the team – from PMs and designers, through developers to testers, we’ve all worked hard to make it happen. As the QA team, we want to maintain the quality of the app. We’re going to evaluate our success by measuring user satisfaction and gathering customer feedback. We’ve got a plan for it – remember teamdeck? It comes with a time tracking app, which helps us check how much time we spend on specific activities: writing test cases, automating, manual testing. Such data will be very helpful in the estimating process. Comparing our estimates with actual time spent on testing will be a good way to measure our progress. 8. Eat healthy, exercise and remember about work-life balance! Granted, most people would consider it a personal resolution, not a career-related one. Still, clean-eating, exercising and maintaining work-life balance will improve both your personal happiness and performance at work. You want to work effectively? Try to follow good lifestyle practices. We are still a pretty small QA team and we would like to get a little bit bigger! We’re looking for someone who wants to join our team. What do we offer? A lot of international projects. We take pride in our company’s vibe. Interested to feel it? Send us your application, and hopefully we will meet this year in the office! There you have it – a list of our new year’s resolutions that we think could be useful for many QA teams out there. Do you have New Year’s goals of your own? Let us know! Want to work with us? We're looking for talented programmers. Check out our openings. Quality Assurance Specialist with a passion. Finding bugs is her life hobby. Cannot imagine her mornings without some great coffee. Creating proper QA departments in startups is not an easy task. This article helps CEOs understand what things to consider when setting one up. Although you may have heard about the importance of IT time tracking, the chances that you've already implemented it at your organization are rather low. Part time doesn’t have to mean part efficiency. Project Manager’s guide to cultivate success managing part-time employees.